For some people, giving up cheese is the hardest part of going vegan. For others, it’s giving up their coveted beauty products. 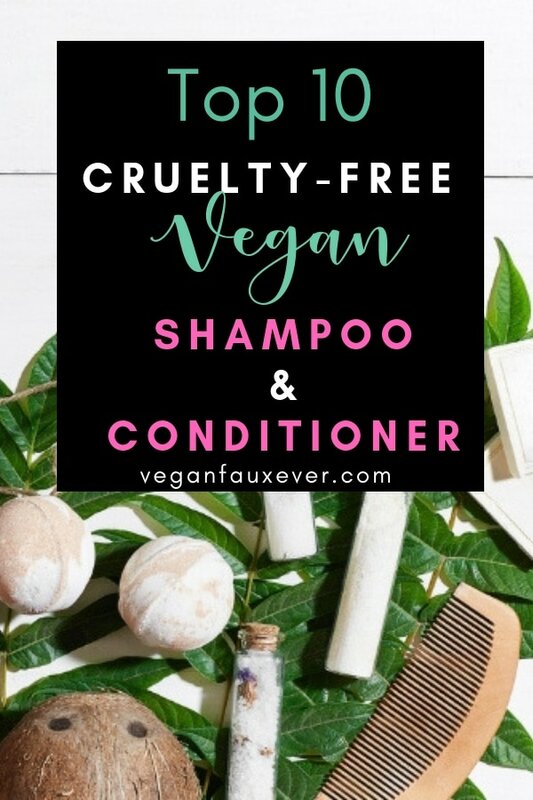 Part of living a compassionate lifestyle is switching to all cruelty-free and vegan products, which is includes shampoo and conditioner! Yes, when you go vegan, you make A LOT of changes to your lifestyle. But I try my very best to do what’s right over what’s easy. During my freshman year of college, I did a presentation on the importance of boycotting cosmetics that had been tested on animals. But I still continued to buy them. Why? It was easier to stick to what I know versus change up my entire routine. I fell into the trap of doing what’s easy over what’s right. It’s very easy to continue navigating through life without thinking about our impact on the world. When we take a step back and realize that our actions don’t agree with our morals, it can be a huge shock. It wasn’t until my junior year of college that I actually went vegan and switched to all cruelty-free and vegan shampoo and conditioner. At first, I had no idea what I was doing. I tried some products at LUSH, and I went to Ulta thinking the sales associate would point me to the “vegan section” of the store. Wouldn’t that be nice? No, there’s no dedicated vegan section at virtually any beauty store. This shampoo changed my entire hair. I have naturally thick, wavy hair that’s oily at the roots but dry at the tips. To make matters worse, my breaks extremely easily. I rarely use heat, yet my hair always looks damaged because it’s fragile. This shampoo has been a game changer for me. I’ve been using it for over a year now, and my hair has grown at least 10 inches. It’s made with castor oil, which is amazing for hair growth and strength. I actually love the entire line, but the shampoo is a must-have. If there is one product you should buy on this list, it’s this shampoo. Get the matching conditioner here. When I went vegan, one of the first things I did was replace my shampoo. This shampoo was the first vegan hair product I bought. ArtNaturals is an affordable, clean cosmetics brand with tons of products available on their Amazon shop. This shampoo is certified vegan and cruelty-free, and it’s also organic, ethically sourced, and free of harmful ingredients. I like to mix up my shampoos every few months to give my hair different types of nourishment, and my hair is so soft when I’m using this shampoo. I also got my mom hooked on this shampoo. Her hair is extremely fine, thin, and stubborn. She’s been using this shampoo regularly for six months, and the difference is noticeable. I find that a lot of people who go vegan or shop cruelty-free eventually gravitate towards eco-friendly products. I was thrilled when I heard about LUSH’s packaging-free shampoo bars because products are more environmentally friendly without all the plastic. However, those shampoo bars aren’t the best quality in my opinion. Personally, I love this shampoo bar by the brand Ethique, which is the world’s first zero-waste lifestyle brand. Reducing our waste is so important, but zero-waste products usually disappoint when it comes to the ingredients list. Ethique uses high-quality vegan ingredients like coconut oil and cocoa butter to hydrate hair and control frizz. What’s insane is that one shampoo bar is equivalent to three liquid shampoo bottles! Save money, the environment, and your hair all at the same time. Get one of their conditioner bars here. Giovanni Cosmetics is a 100% cruelty-free brand. However, they’re not 100% vegan–more like 90%. I’m not a huge essential oils user, but I love when cosmetics are infused with them. This shampoo is infused with tea tree oil, which nourishes the root of the hair and even encourages growth. I also love that it’s anti-microbial. This shampoo is also organic, biodegradable, and accessible. You should eat hemp seeds, as they’re an amazing vegan protein source, but you should also incorporate it into your beauty routine! This shampoo contains hemp seeds oil, which is high in healthy omegas to nourish your hair. It’s also herbal and smells amazing. If your hair needs some serious hydration, this is the vegan shampoo for you. You can find this shampoo at Ulta and Walmart and online at Amazon. What’s your favorite store to buy cosmetics–Amazon, Target, Ulta, Sephora? There are multiple cruelty-free and vegan hair products at each of those stores and all the major retailers. If you have an Amazon Prime membership, you have access to all the vegan shampoo your heart desires. I just order my SheaMoisture set every month on Amazon Prime, and it’s here in two days. Get a 30-day free trial to Amazon Prime here, and fill up your cart with these cruelty-free hair products ASAP! Listen, Linda. I’m extremely picky about conditioners. Because my hair is thick and wavy, I usually need to use a significant amount in one sitting. With this conditioner, I only have to use a normal amount because a little goes a long way. Plus it’s got kale in it, so it has to be healthy, right? Pacifica is an amazing vegan beauty brand, so it’s no surprise that their vegan conditioners are spot on. Seriously, give this conditioner a try if you haven’t already. Put coconut on your face. Put coconut on your body. Put coconut on your hair. Seriously, coconut is a mega hydrator. This conditioner is one of the thickest formulas I’ve ever tried. It’s like doing a hair mask every night. It’s specifically made for dry hair, but I have oily hair and have had amazing results with it. The SheaMoisture shampoo mentioned previously plus this coconut conditioner is a recipe for hair growth, strength, and hydration. I have to mention Ethique once again, specifically for this Wonderbar. Like the shampoo bar, it’s completely zero-waste. The shampoo bar is equivalent to three bottles of traditional shampoo, but this conditioner bar is equivalent to five bottles of conditioner! The ingredients are natural, and it’s definitely a unique experience. It feels very creamy on the hair, and it’s very satisfying. Despite it being zero-waste, there’s something luxurious about it. This is definitely a product I would purchase again. It’s extremely cost-effective, travel-friendly, and overall an amazing experience. This conditioner is one of my all-time favorite vegan hair products. I would have never expected that, but it’s true! I have a confession to make: This conditioner is designed for color-treated hair, but I still use it on my non-dyed hair because it smells THAT good! I mean, it’s called 1000 Roses, so it makes sense. When products are specifically for dyed hair, it usually means they’re good for damaged hair that needs some TLC. I find that this conditioner makes my hair feel so much stronger and healthier. I also struggle with really tangled hair, and I find that this softens my hair so it’s easier to brush. If you want a vegan conditioner that will revitalize your hair, get this one. Get the matching shampoo here. Last but not least is a 100% vegan and cruelty-free hair brand, Beauty Without Cruelty. I had to try this conditioner because it’s an aromatherapy product. It contains the following organic essential oils: tea tree, jojoba, sweet orange, rosemary, and peppermint. It has clean ingredients, and you don’t have to worry about it being cruelty-free and vegan. This conditioner always leaves my hair feeling soft, tangle-free, and healthy. Switching to cruelty-free and vegan beauty products is exciting and rewarding. It’s also really important for the animals who are used as test subjects so we can have beauty products. The good news is that you don’t have to contribute to cruel animal testing in order to have high-quality hair products. There are TONS of cruelty-free and vegan hair products, but these are the ones I’ve personally tried, tested, and loved. Right now, SheaMoisture’s Jamaican Black Castor Oil collection is my holy grail. There may be an adjustment period as your hair gets used to new products, but trust me, it’s worth it. Want more vegan beauty product recommendations? Check out my guide to vegan skincare products! It sounds like we have similar hair types! I found my holy grail: Shea Moisture Jamaican Black Castor Oil collection. Hope you find yours, too!